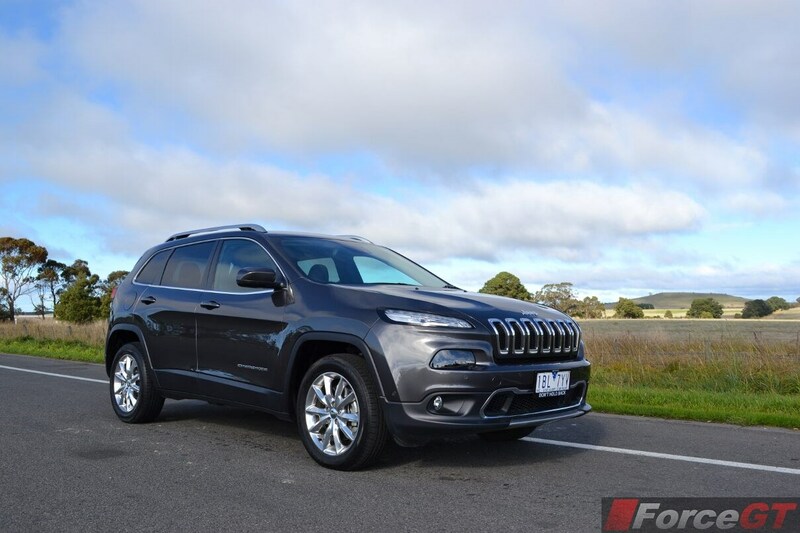 The Jeep Cherokee has returned to have its share of the cake in one of the most crowded and fastest growing segments in Australia. 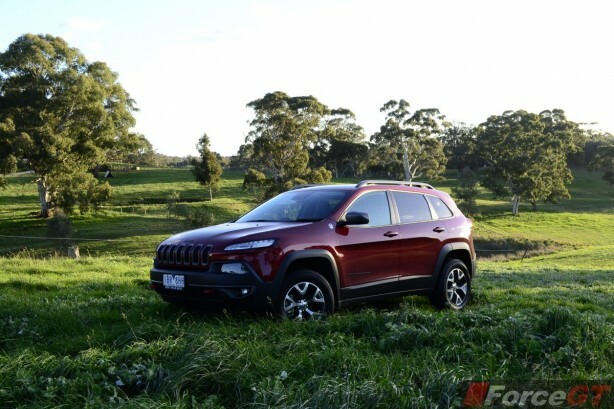 Pitting against highly established rivals such as the Mazda CX-5, Nissan X-Trail and Toyota Rav4, the Jeep needs to be more than just good if it wants to come out on top. It needs to be great. And we are glad to say, with its distinctive and polarising exterior, it’s off to a good start. 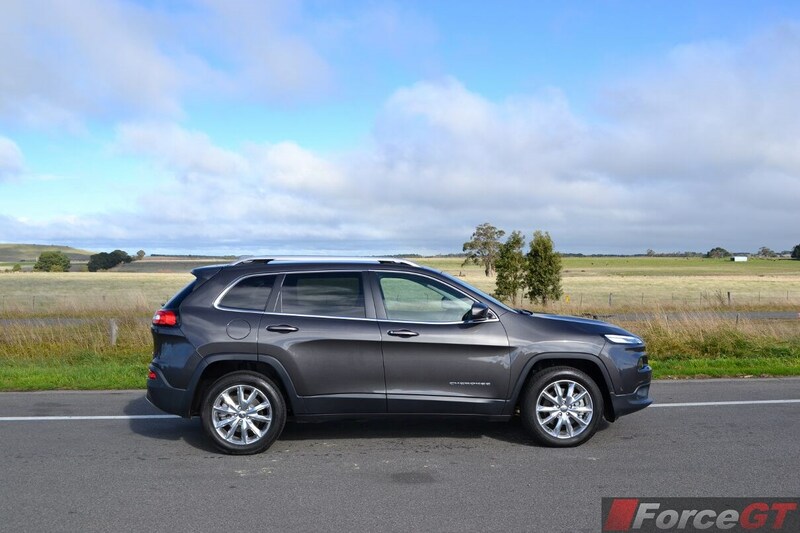 The Cherokee slots in the middle of Jeep’s offerings, positioned above the Compass crossover and below the larger Grand Cherokee. Entry point to the midsize SUV starts at $33,500 for the base Sport model, moving up to $39,000 for the mid-spec Longitude variant. 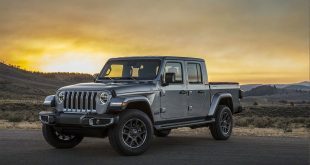 The top of the range Limited model is $44,000, while the rugged Trailhawk bush-basher costs $47,500. 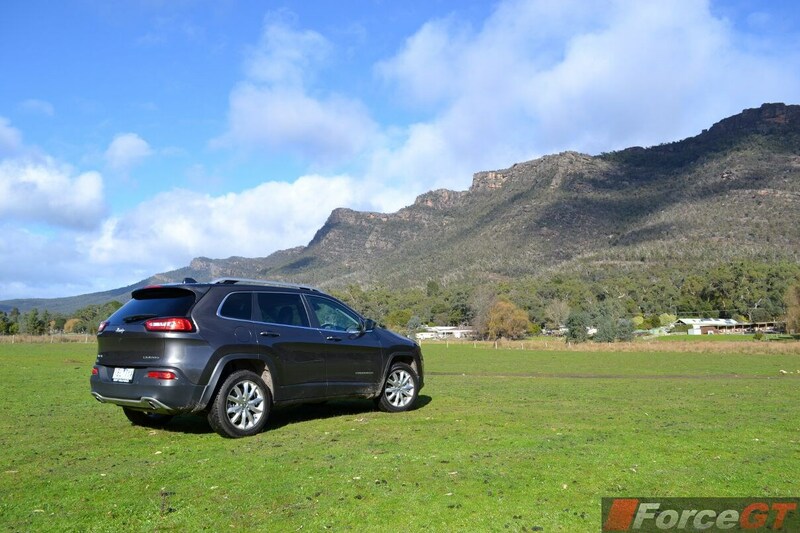 Jeep claims the new 2014 Cherokee is everything we loved about the Grand Cherokee packed in a smaller body. Is it really? Let’s find out. 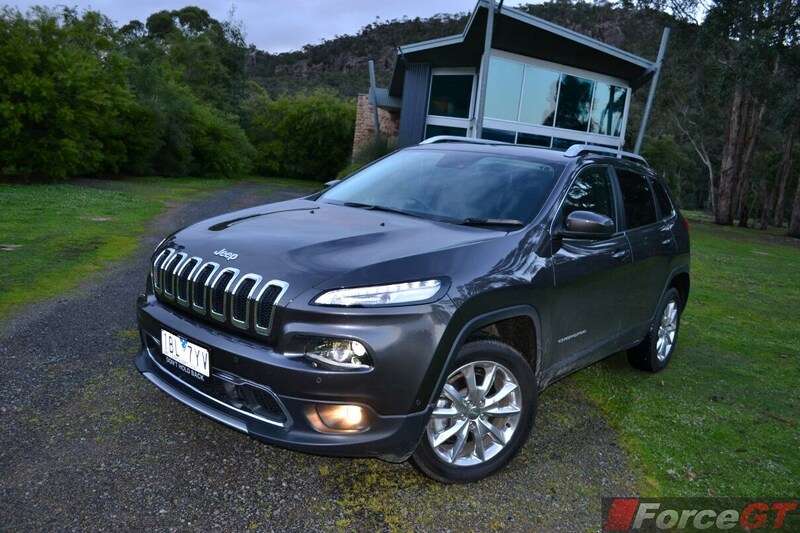 The new Cherokee’s styling is a like it or hate it affair, at least at first sight. The front is the most controversial. 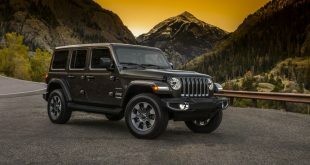 Apart from the Jeep badge, the seven vertical slits that make up the grille are the only remaining identifier of its connection with the 1941 Willys MB Jeep. 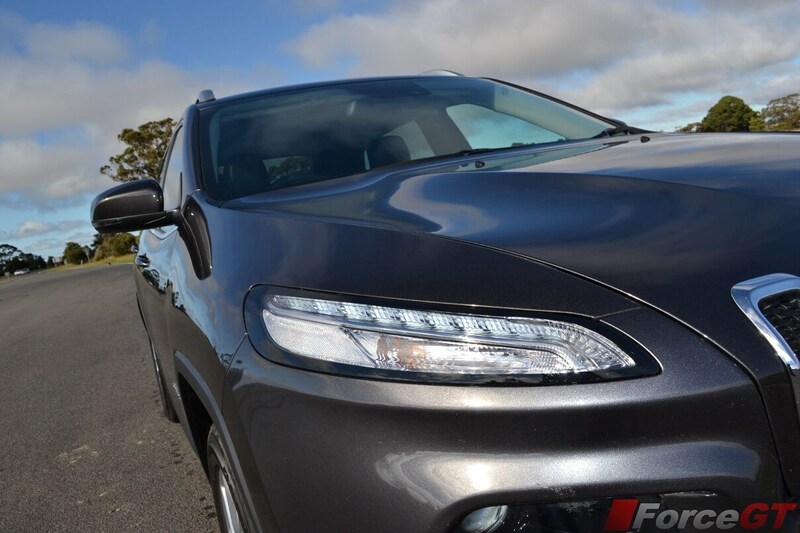 Stacked on both sides of the trademark front grille are the daytime running lights and main headlamps in two separate assemblies. 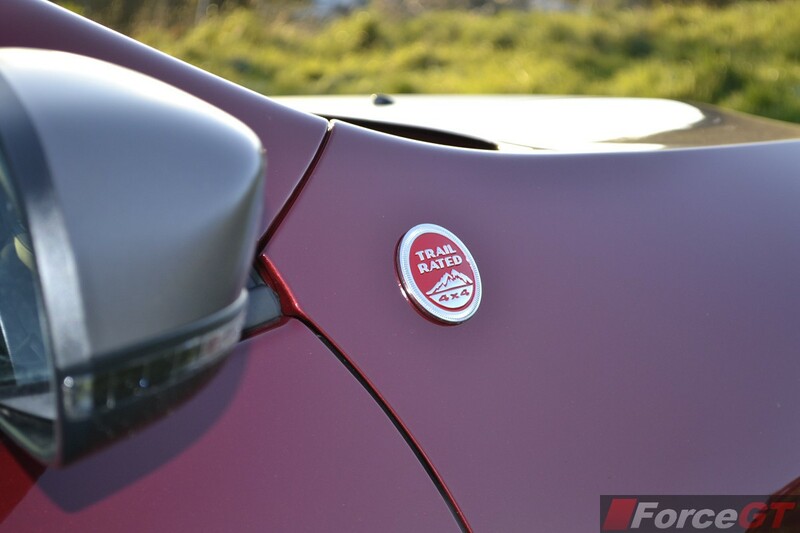 The unusual front end leads to a heavily chiselled bonnet and sculpted door panels cut by prominent wheel arches. 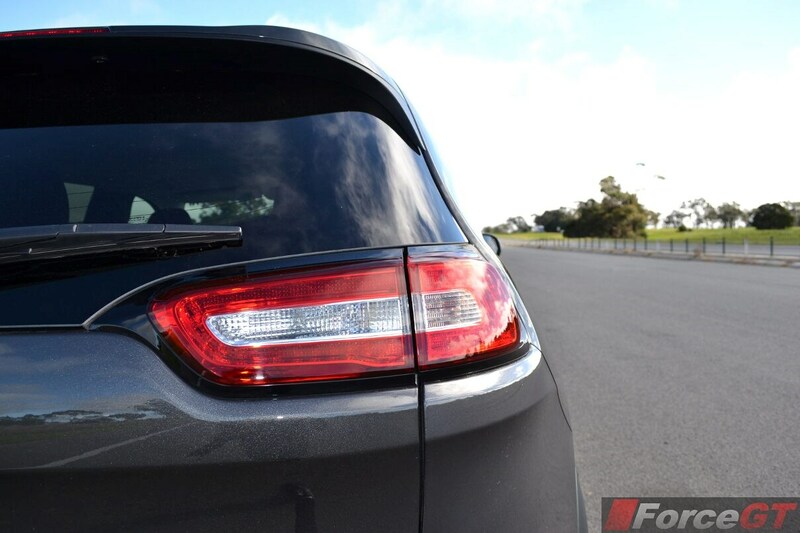 Things are even more unexpected at the back, with the high-mount taillights and smoothed out rear bumper. 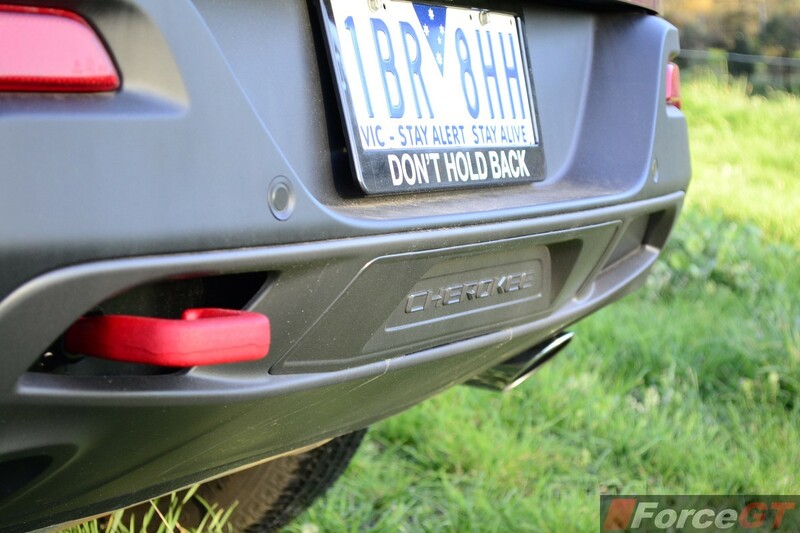 Has the Cherokee gone soft? No doubt. Many find the fascia a little hard to digest, us included. But we soon find ourselves growing to like it after awhile. The overall shape is now more mainstream and dare we say this, more sophisticated. 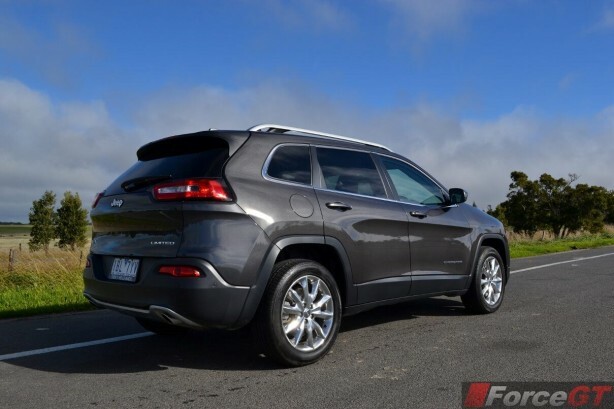 Cherokee’s stylish transformation continues on the inside. 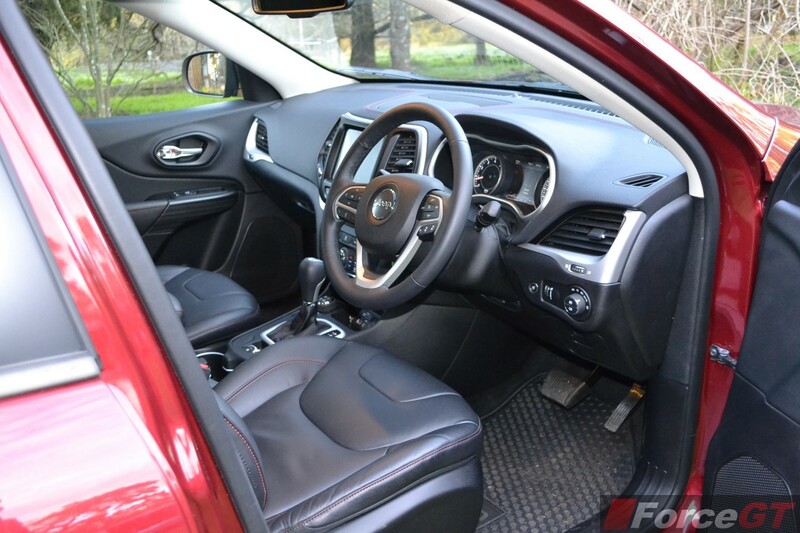 The new cabin is a huge improvement over the old, with clever use of high quality materials in the upper dashboard and door trims. 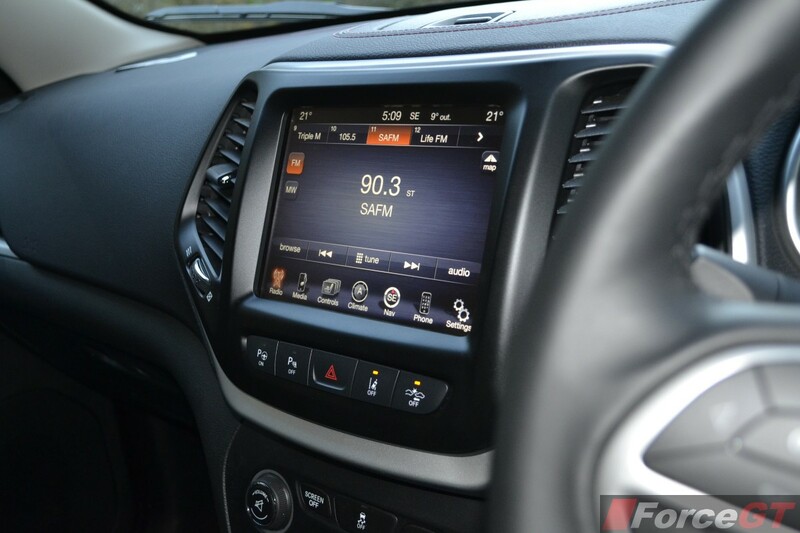 The centre console is dominated by a 5.0-inch TFT colour display, with controls ergonomically laid out under the touchscreen. 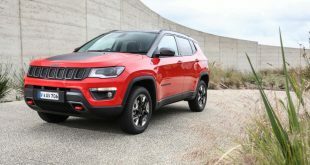 The Limited and Trailhawk versions get a larger 8.4-inch centre display, with another 7-inch ultra crisp driver-configurable display sandwiched between the instrument gauges. 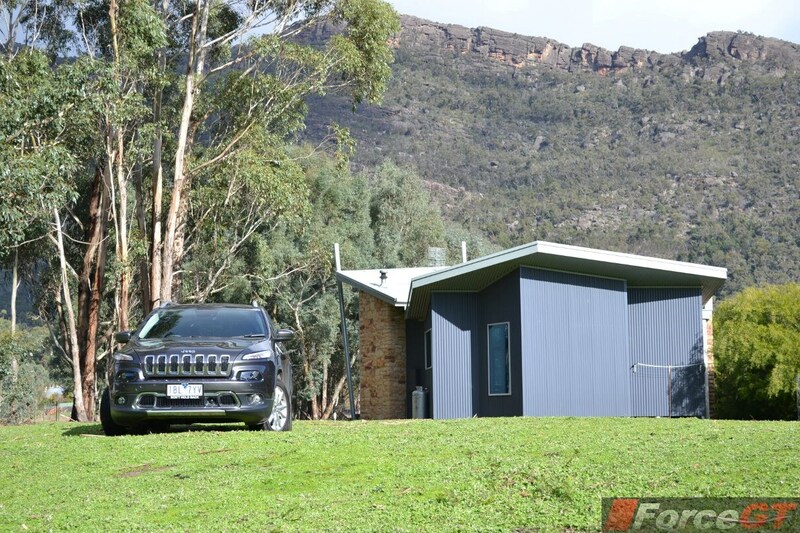 The aesthetically designed cabin feels almost premium, especially in the upper grade models, leaving the competition with some catching up to do. 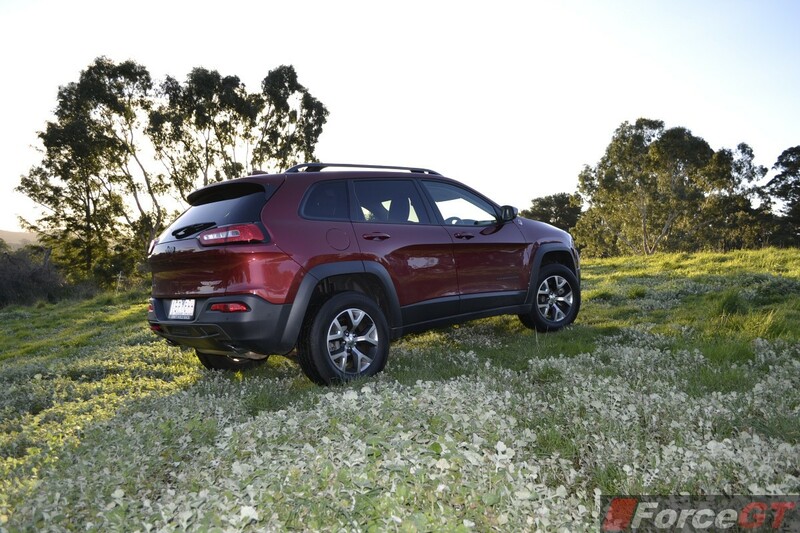 The new Cherokee offers comfortable seating for five, with decent head and legroom for all occupants. The front row seats provide good support and are very comfortable over long journeys. 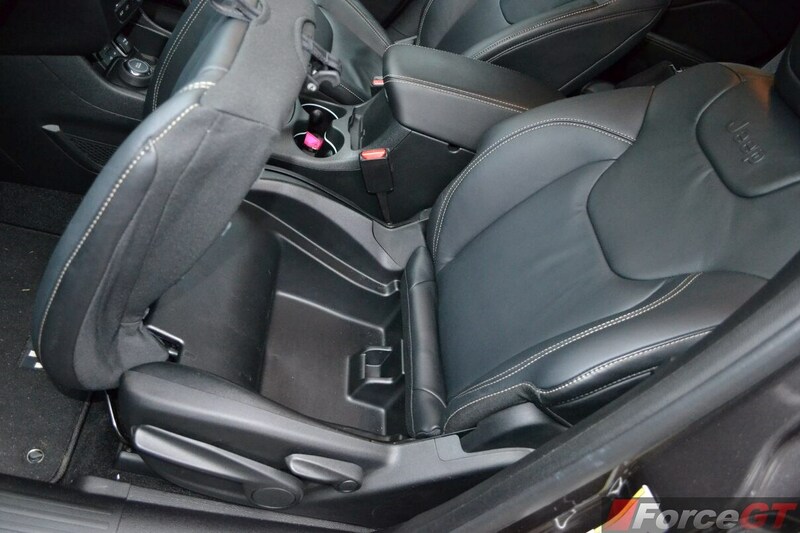 Storage compartments are plenty, there’s even one hidden under the front passenger seat. 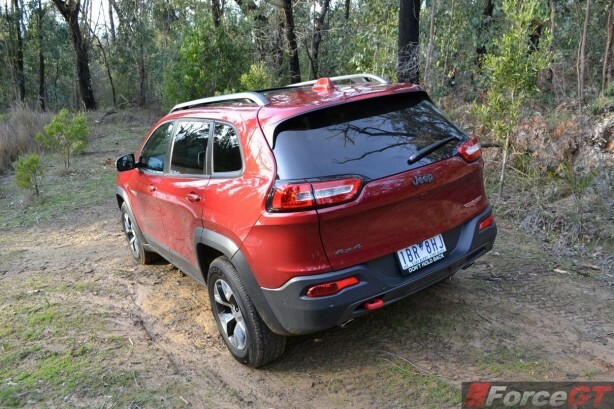 Where the Cherokee trails behind its rivals is rear cargo space. 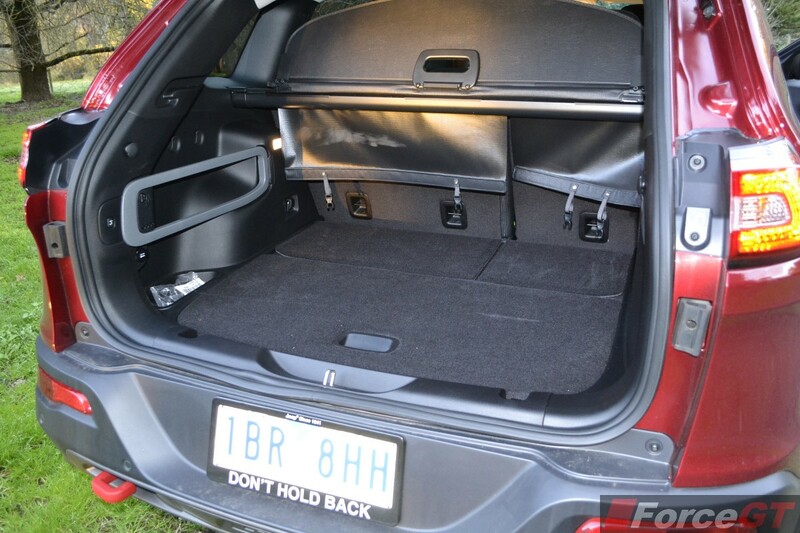 The boot isn’t the deepest, and with its shallow floor, carrying capacity is limited. 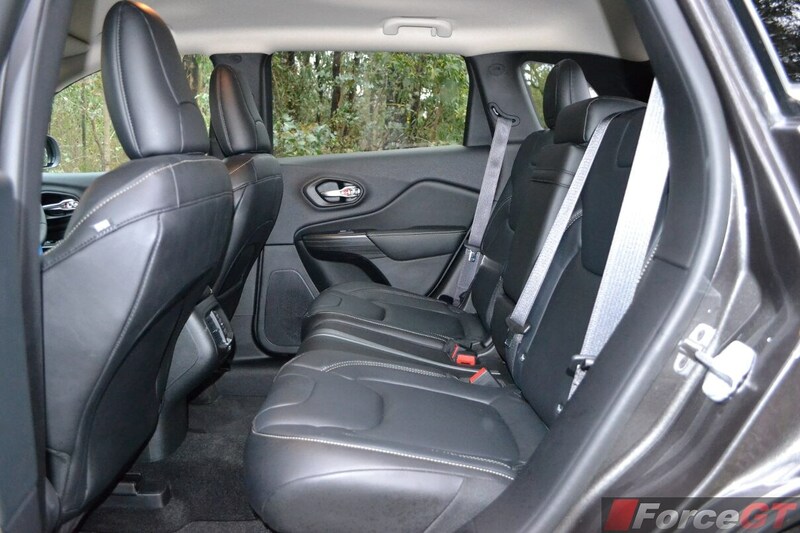 However, the space opens up easily as not only the rear seats can be folded flat, but the front passenger also folds flat. 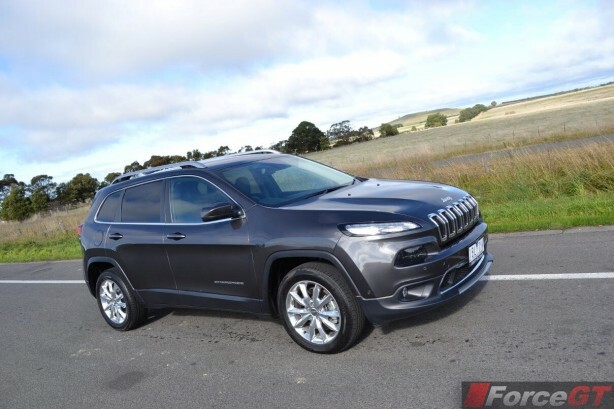 The Cherokee Sport is available exclusively with a 2.4-litre four-cylinder petrol engine developing 130kW of power and 229Nm of torque. 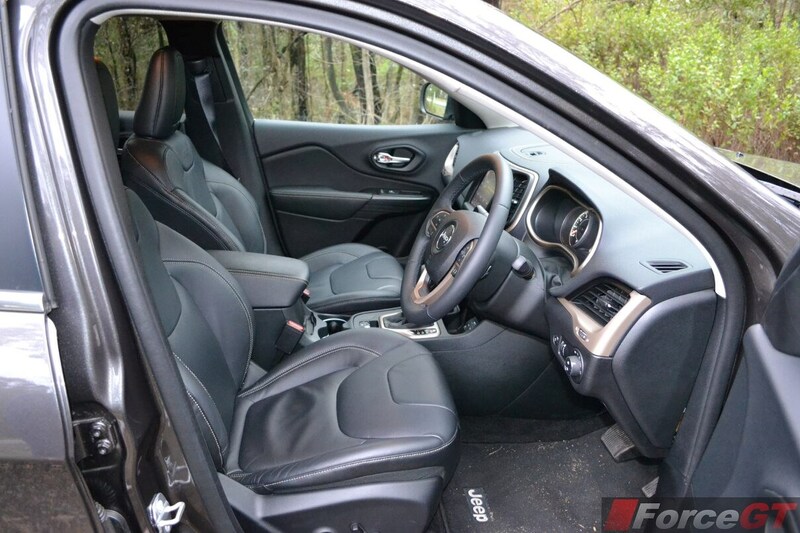 The new engine is paired with a nine-speed automatic transmission, the first in the segment. While it certainly has a one up man-ship against lesser-cogged competitors, its marriage with the four-pot isn’t the most convincing. It is deem-witted and slow to kick down, even in manual mode. On the move you can feel every ratio grinding into position. 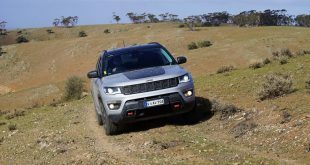 The 3.2-litre V6 petrol engine powering the four-wheel-drive Longitude, Limited and Trailhawk models outguns all its rivals with 200kW and 316Nm. It must be praised for its smooth power delivery and impressive refinement. It’s a versatile unit that sinks into a relax demeanour when cruising but mesh the paddle and it comes alive, even sounding satisfyingly inspiring at the top of the rev range. The nine-speed auto works with the more powerful V6 a lot better than the four-banger, delivering effortless acceleration. 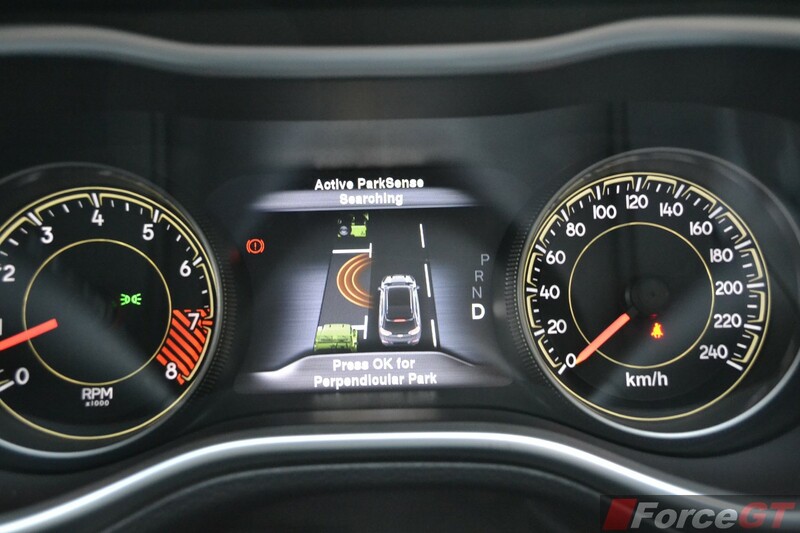 The top three ratios are overdrive gears, which help keep fuel efficiency in check at freeway speeds. However, the ninth gear never got engaged during the course of our evaluation, and it will never be at our legal speed limits. 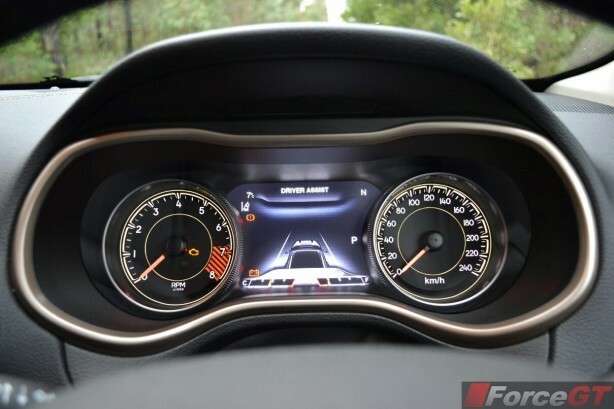 Reserved only for very high speeds, the ninth gear is an added weight more than anything in normal driving. 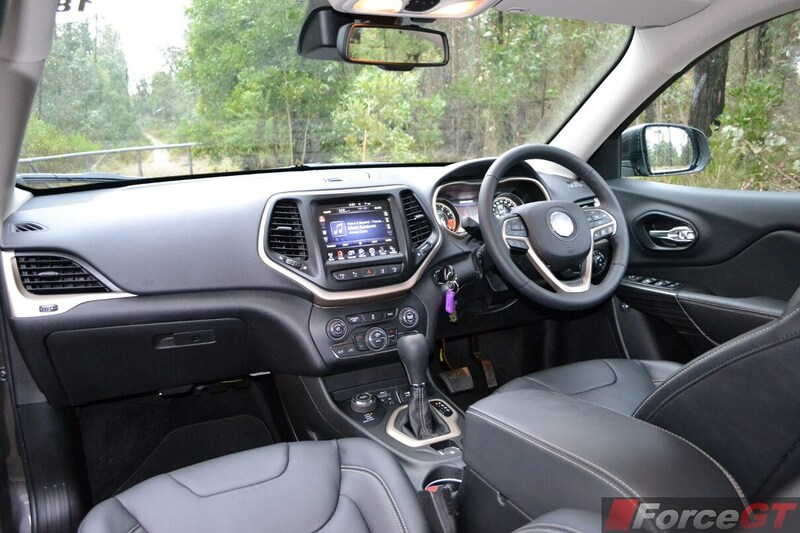 A 2.0-litre turbo diesel rated at 125kW and 350Nm will join the range from late 2014. 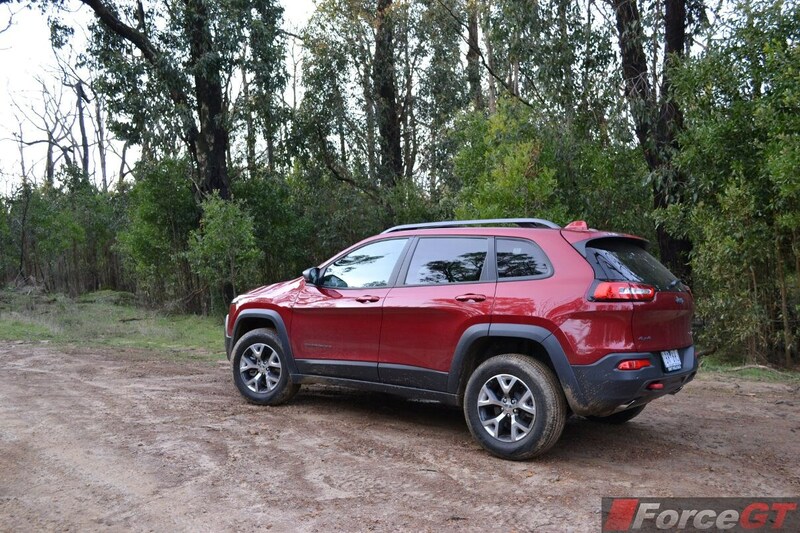 Jeep has developed new front and rear independent suspension systems for the new Cherokee. All models are now equipped with frequency-sensitive damping shock absorbers that automatically adjust to road undulations. There’s also a new body structure made extensively from high-strength steel to deliver new levels of torsional stiffness. 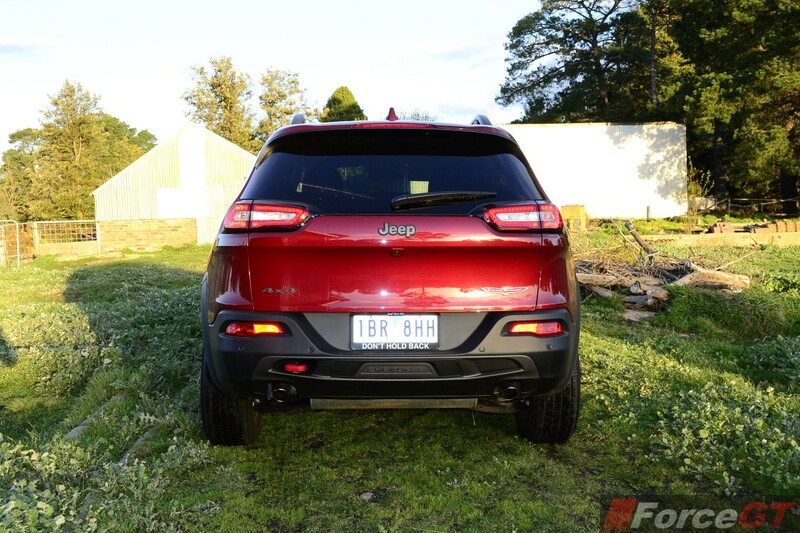 We feel the ride is one of the best in the segment, and is better than any Jeep that came before it. Striking an almost perfect balance between comfort and handling, the new Cherokee soaks up bumps and ruts smoothly while leaving just the right amount of firmness for a sporty feel. 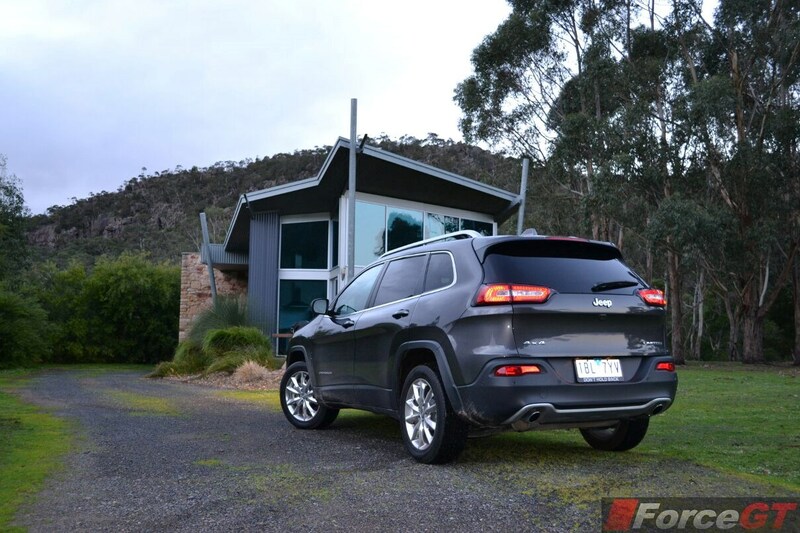 Around the bends, it has a tad more body roll than desired but is still tautly composed for a high-riding SUV. 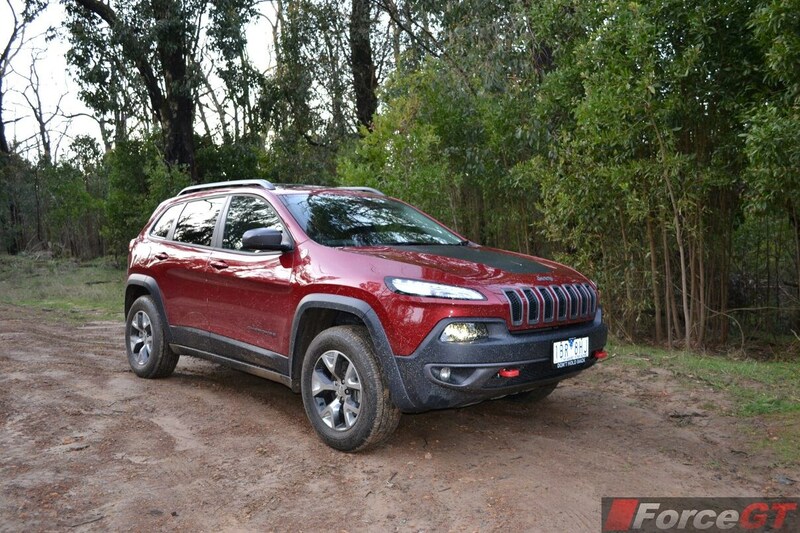 In fact, its handling is almost car-like – no surprise here as the Cherokee is based on the Alfa Romeo Guilietta platform. The speed-sensitive electronic power steering automatically adjusts for limited effort at low speed or during parking, gradually firms up as speed climbs. It’s precise and progressive although feedback is a bit limited. 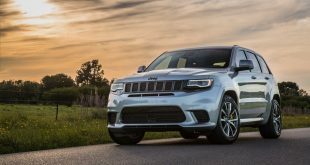 Jeep’s Selec-Terrain system makes its first appearance on the Cherokee, fitted on the all-paw Longitude, Limited and Trailhawk models. 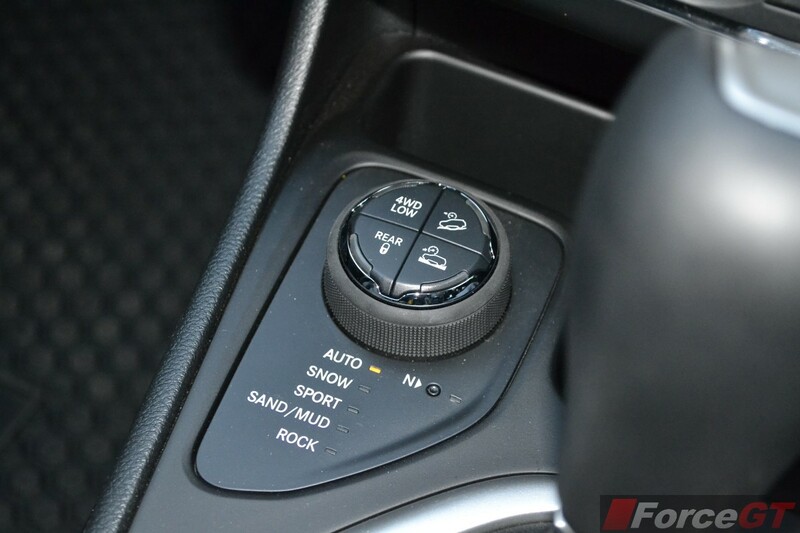 It offers up to five modes for specific conditions: Auto, Snow, Sand/Mud, Sport and Rock (Trailhawk only). 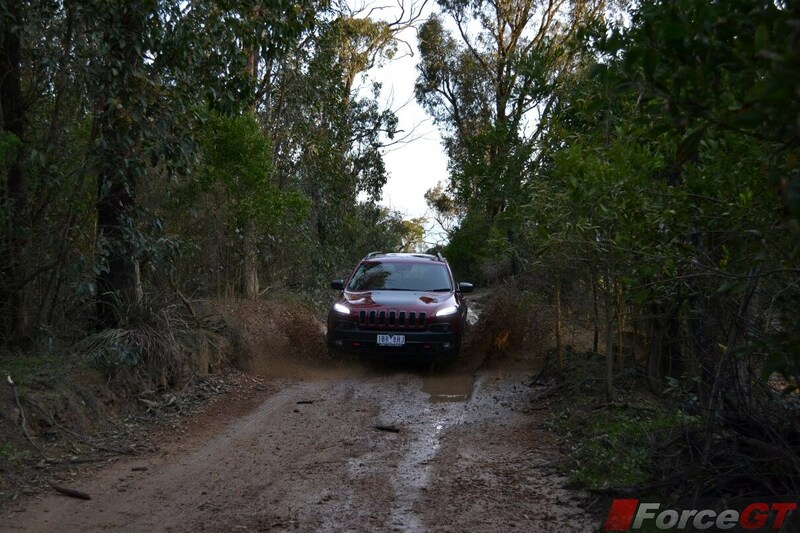 Three drive configurations are offered in 4WD Cherokee models. The ‘Active Drive I’ on the Longitude and Limited models is a fully automatic, on demand system, seamlessly switching between two and four-wheel drive according to driving conditions. 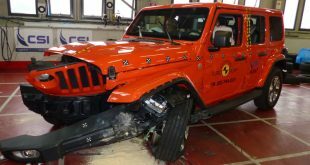 A new rear axle disconnect function activates when four-wheel-drive capability is not required, reducing energy loss and improving fuel efficiency. ‘Active Drive II’, equipped in the diesel model, gains a low-speed transfer case. 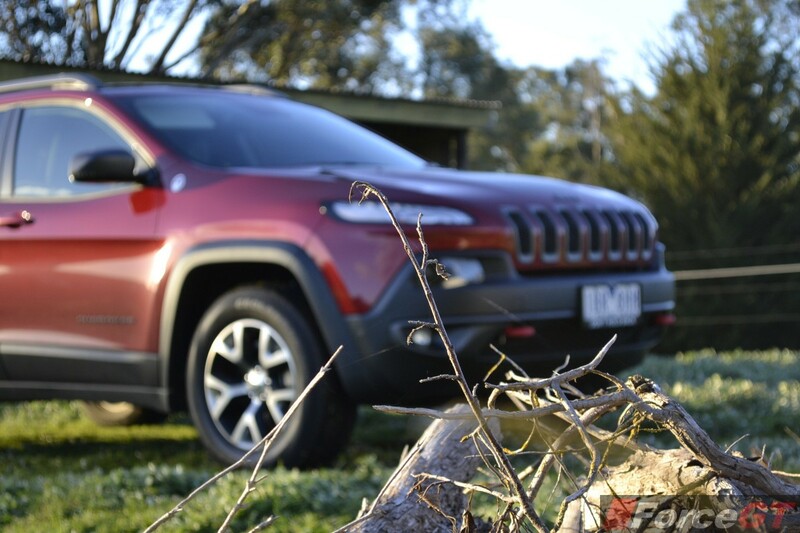 The hard-core Trailhawk’s ‘Active Drive Lock’ comes complete with low-range and a locking rear diff for some serious dirt kicking and rock crawling. 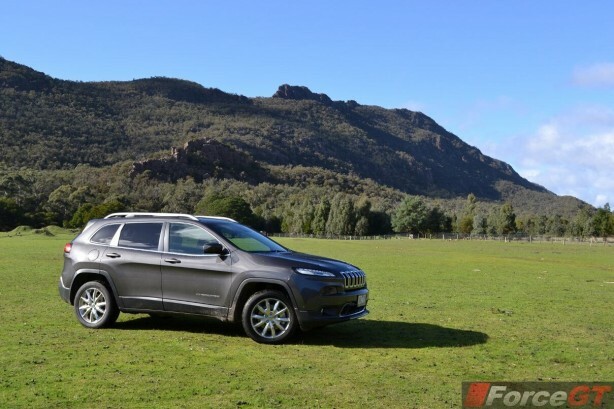 The automatic system in the Longitude and Limited models is remarkably capable off road, ensuring good traction and proper torque distribution to the wheels in all but the trickiest terrain. 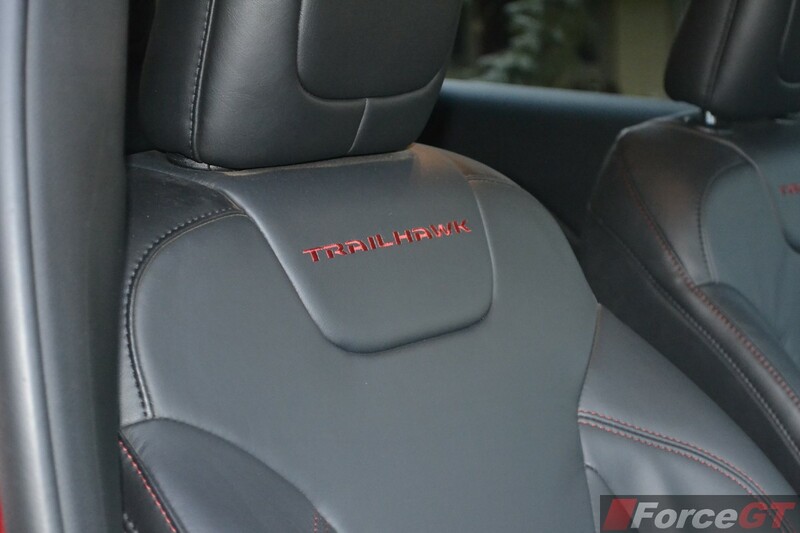 The Trailhawk is the only mid-size SUV in the segment that offers full off-road capability. 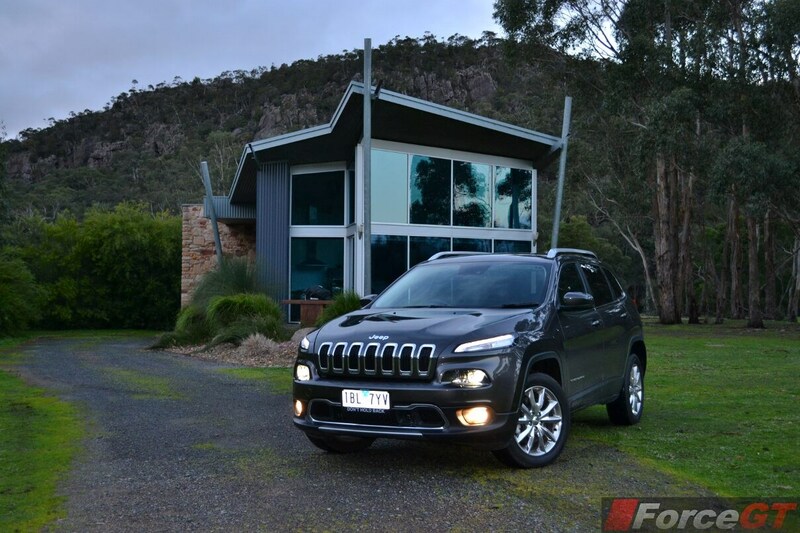 With a raised ride height, off-road suspension and skid plates, Trail Rated off-road gears and beefed up wheel arch mouldings, the Trailhawk belongs to the jungle. This thing will climb slippery slopes and descent steep downhills with no dramas. 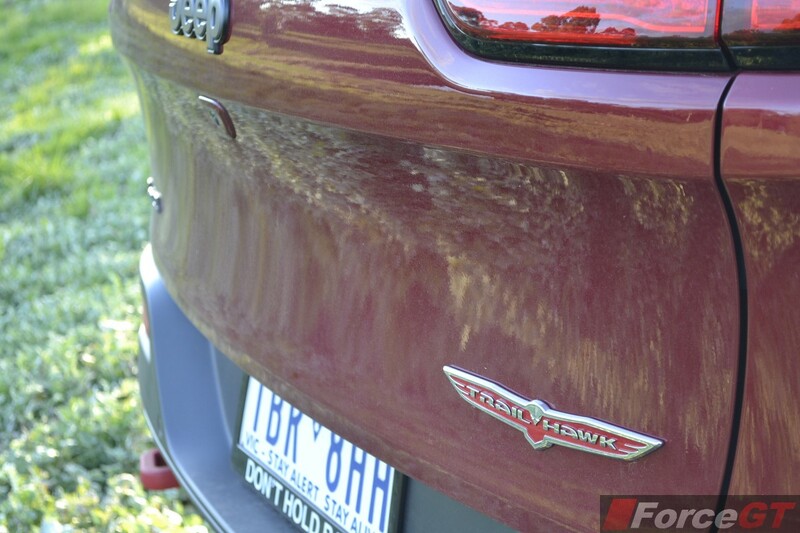 The electronic stability control (ESC) in the Trailhawk also has a unique calibration that will change mode in coordination with its Select-Terrain system. 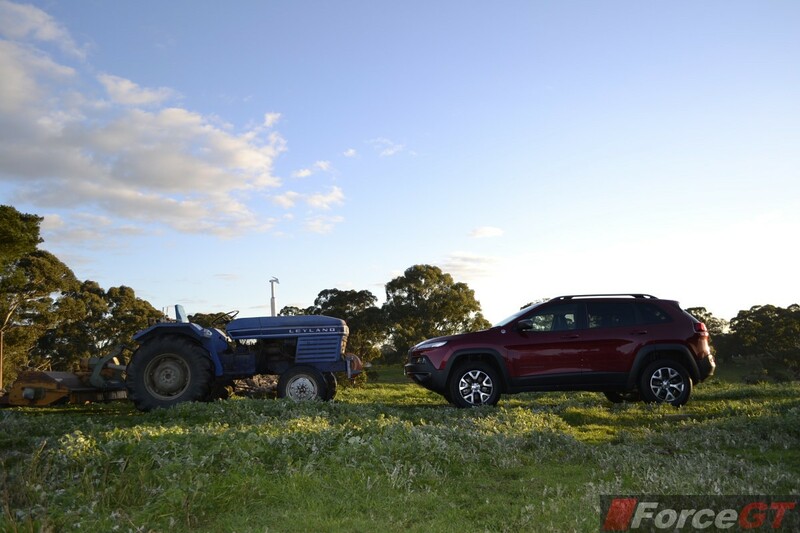 While the Trailhawk offers unsurpassed control off-road, road noise on the black top is more evident than in the other Cherokee models due to the use of all-terrain tyres. It’s steering feel is also not as sharp. Jeep has really stepped up the fit and finish in the new Cherokee. 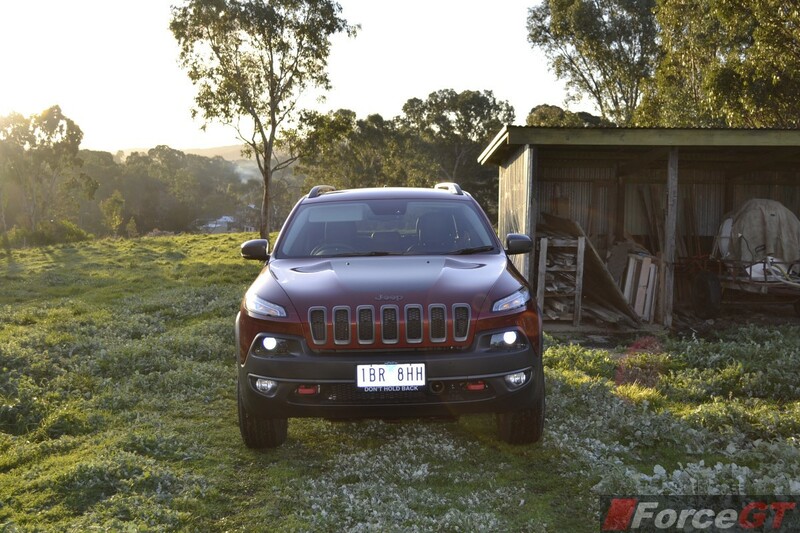 Unlike most American-built cars, the Cherokee is actually very well put together. Panel gaps are tight and well aligned. 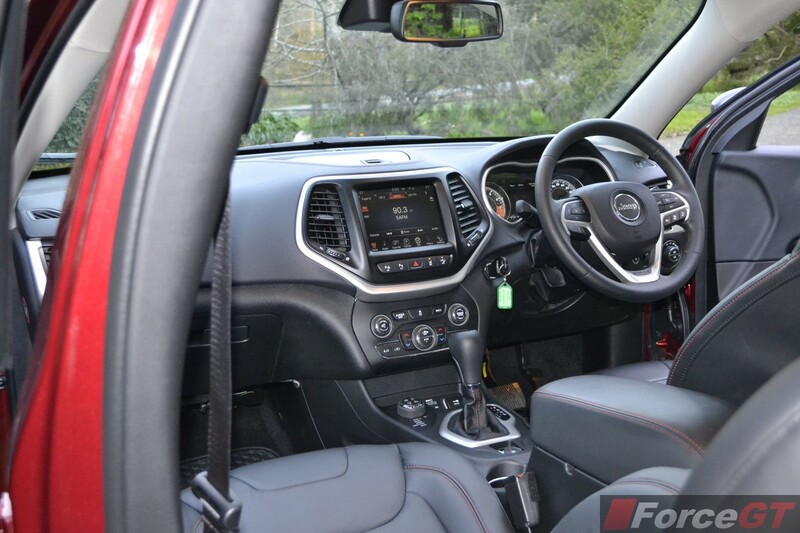 The cabin is a class above the rest of the competition, with soft-touch surfaces in most areas and neat stitching on the leather upholstery. 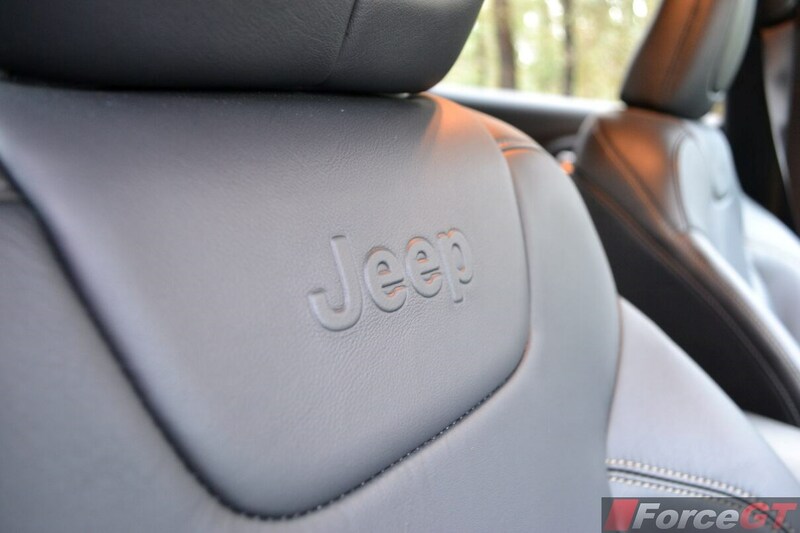 The interior is the best we have seen from Jeep. With clever use of quality materials, it really feels semi premium. 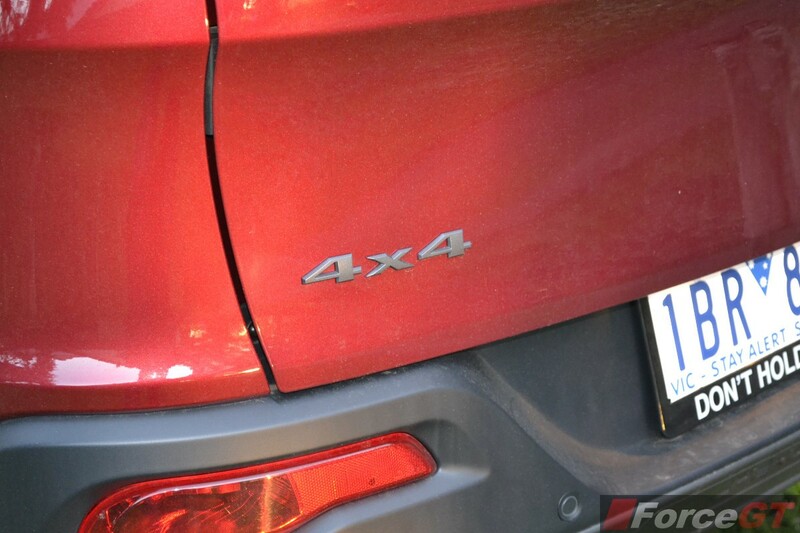 Can the 2.4 Sport beat the Mazda CX-5 with its SkyActiv fuel saving tech? No. Our test average returned an unimpressive 11.5L/100km of unleaded. 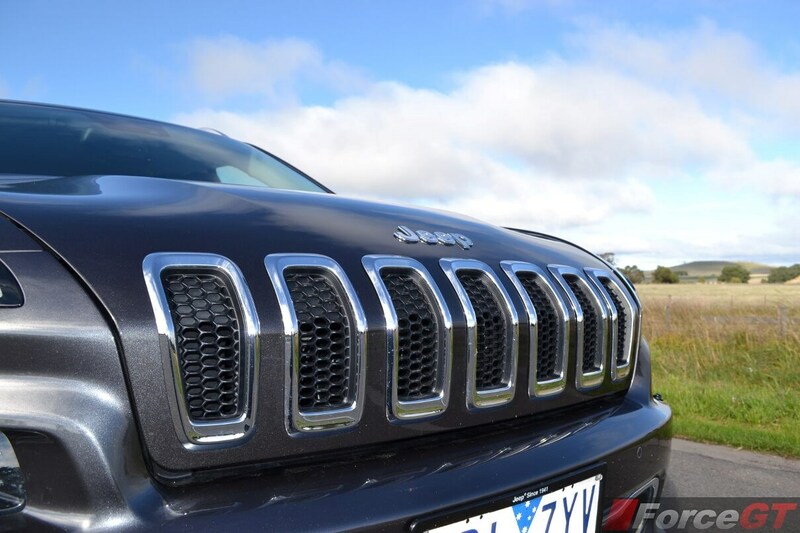 The 3.2 V6 models tip the scale at over 1.8 tonne, which is hefty for a mid-size SUV. Thus, it can be thirsty around town, chewing 13-15L/100km. On the freeway however, the Jeep is relatively frugal, zipping around 7L/100km. 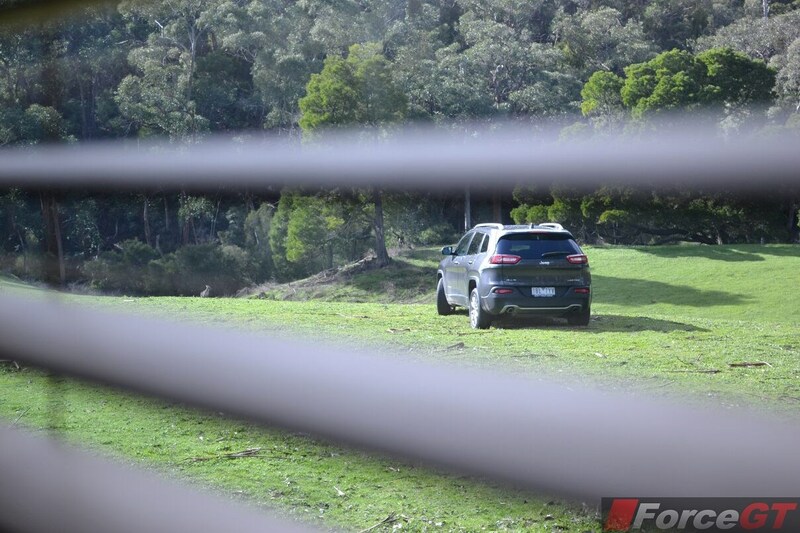 Over our week long test, the V6 Limited averaged 10.2L/100km, almost as claimed. The entire range, even the base Sport, is well equipped. 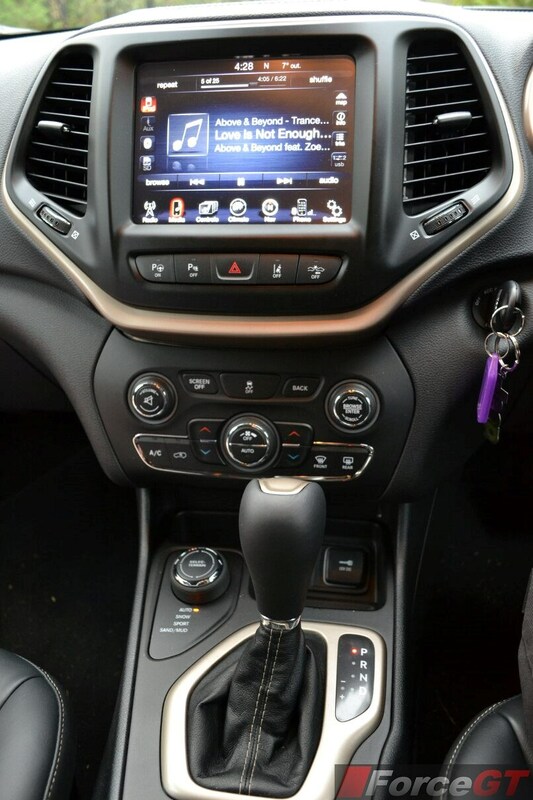 All models come standard with Uconnect touch screen display, with voice command and Bluetooth phone and audio connectivity, LED daytime running lights, tyre pressure monitoring and reverse camera. The based model does miss out on steering wheel mounted audio controls, though. The Longitude model adds power driver seat adjustment, power liftgate, dual-zone climate control and remote start system. 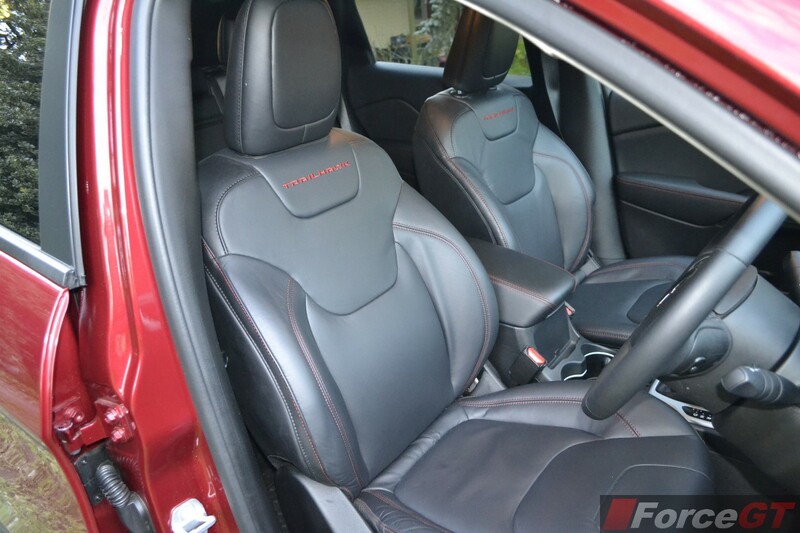 The Limited and Trailhawk models are fully loaded with leather upholstery with heated front row seats, large 8.4-inch Uconnect display with navigation, Bi-Xenon headlights, and a high-clarity 7-inch colour display smacked in between the instrumentation gauges. A self-parking function is standard, as is adaptive cruise control and forward collision mitigation. There’s also a 9-speaker Alpine stereo system thrown in. 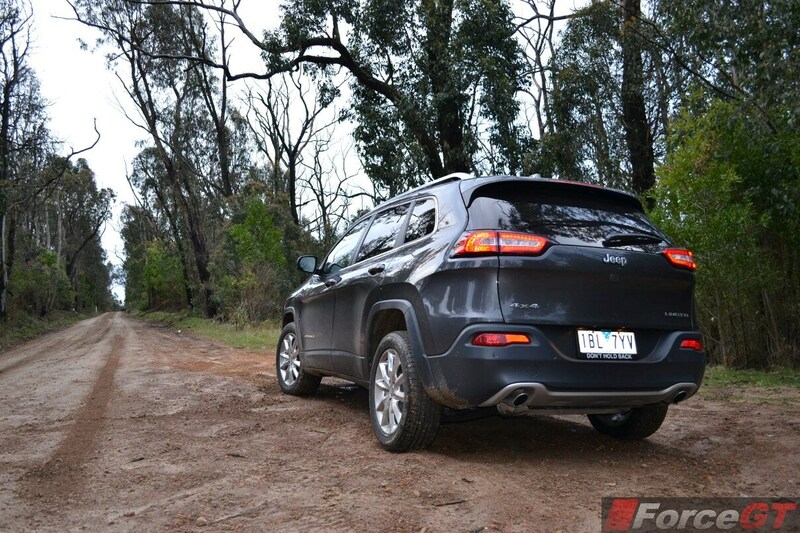 There’s a lot to like about the new 2014 Jeep Cherokee, much more than the hot-selling Grand Cherokee. It is well built, looks distinctive, handles very well on tarmac yet equally capable off-road, generously equipped and feels upmarket inside. 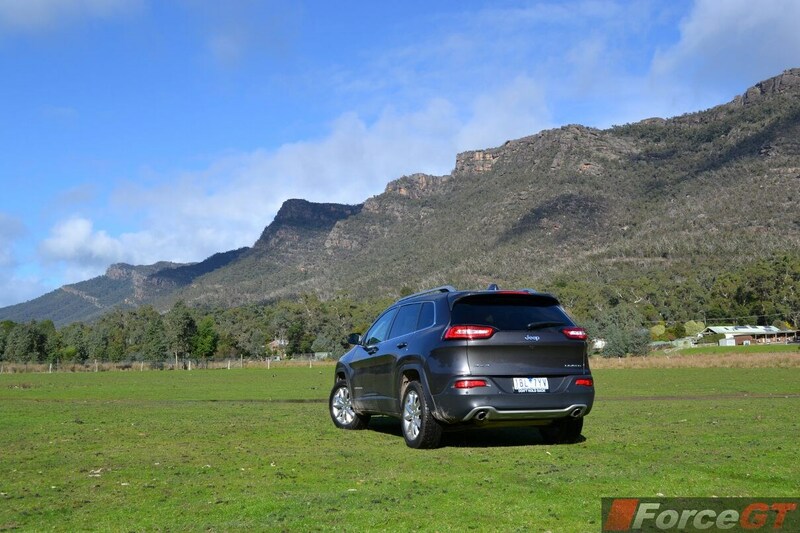 As far as 4WD mid-size SUV goes, the Cherokee sets new benchmark in the segment. 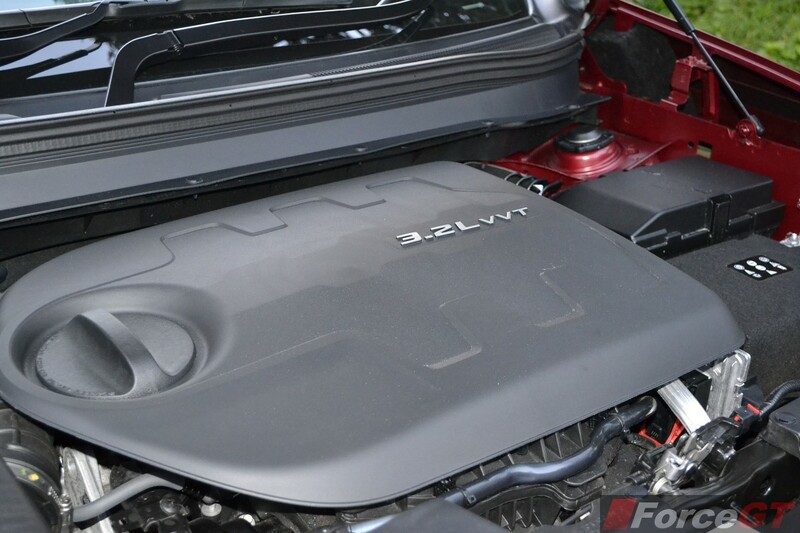 The 3.2V6 is amazingly refined with smooth power delivery and a much better match with the nine-speed auto. 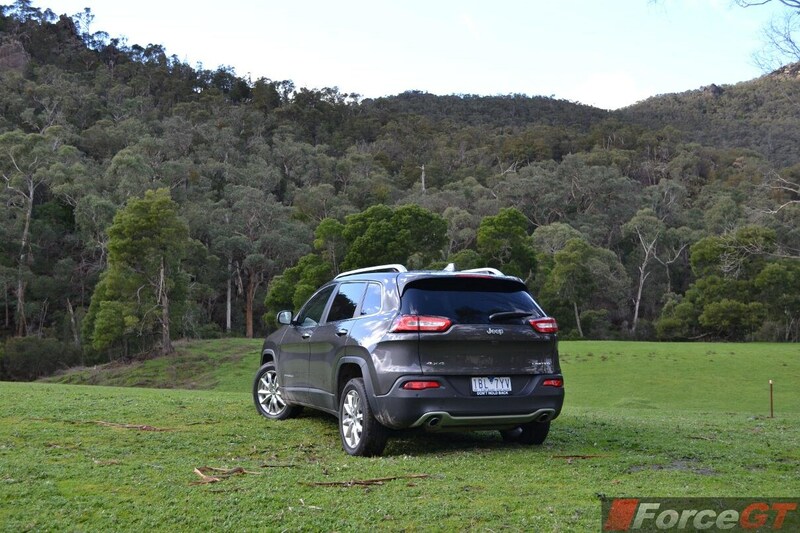 Until the diesel comes along, it is our pick over the 2.4L.